We love blogging. And we love the WordPress blogging platform. But we are very much not in love with most website hosts WordPress bloggers use. Like it or not, a website host is a necessity if you want to run a WordPress blog with your own domain name (which we strongly suggest†). It’s a hyper-competitive business, website hosting is. To cut costs most hosting companies skimp on service and reduce their reliability standards. How do hosting companies get away with that? you may wonder. Because most customers make their choice of host by looking at the price and nothing else. Do not be one of those customers. The difference between a low and high quality host is the difference between your WordPress blog being down a few minutes per month or being down for hours (or days!). It’s the difference between your blog loading quickly or loading slowly. It’s the difference difference being able to get help with a hosting issue and not. If you are a very regular (and especially observant) reader of Spot Cool Stuff then perhaps you noticed how our website suddenly got a bit zippier a few months ago. That happened because we switched our hosting to a managed dedicated server with Hostgator. 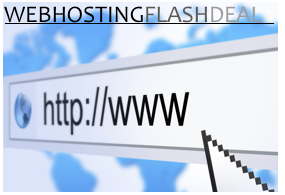 In doing so, we completed a hosting journey that lots of countless of other start-up websites have gone through. Like many blogs, ours started on a super-cheap shared host. After we got our first big traffic spike, we upgraded to a virtual private server (VPS). And then, finally, we landed on a server all our own. Hosting your own blog is MUCH better than having WordPress do it for you. There are really only two disadvantages to arranging for your own blog hosting. First, you’ll need to find (and pay for) a good WordPress-friendly website host. Second, you’ll have to do the updates yourself. It probably isn’t feasible for you to drive an all-electric vehicle, locally grow your own organic food and power your house entirely on renewable energy. But small steps towards reducing your carbon footprint can still make a huge difference to the environment. Small steps like using an environmentally-friendly host for your websites and email. Website hosting is a surprisingly polluting enterprise. A single server running on electricity from a coal-fired plant can produce as much as 12.5 tones of CO2 each year. One study found that if current trends continue, then by 2020 website hosting companies as a whole will be spewing as much pollution as the entire airline industry! Fortunately for the planet, an increasing number of eco-friendly hosting companies starting up. And, fortunately for website owners, some of those green hosts offer better service for lower prices than do their polluting counterparts.